Chinese Pneumatic PET Strapping Tool. All spares are readily available with us. We have gathered a huge customer base in this domain by presenting a comprehensive range of Pet Strapping Tool. 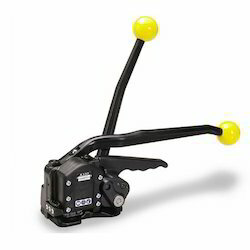 This tool is manufactured using quality materials and OEM certified components. Our professionals manufacture the tool by adhering to industry standards and applying modern sciences. Also, our quality controllers opt for strict quality inspection before dispatching the tool to the clients. Apart from this, clients can get the tool availed from us at industry leading rates. Due to its low weight the A482 does not necessarily have to be suspended. The perfect double notch joint guarantees a strength of 75%. The excellent mechanical features of Pneumatic Pet Strapping Tool often allows the substitution of the traditional steel strapping used in many industries. The outstanding feature of Pneumatic Strapping Tool is that it is fitted with heavy duty bearings & components which makes it extremely durable & rugged. Used in combination with our new plastic strapping tool, model P355, Pneumatic Pet Strapping Tool up to 16.0 mm/5/8” width and 1.05 mm/.041 “ thickness can be applied. A high seal efficiency is guaranteed an depending on the quality of the strapping, tension up to 2100 N can be reached. The P331 plastic strapping tool is completing our range of battery powered strapping tools for strapping widths up to 32 mm. This size of PET strapping can replace heavy duty steel strapping applications and generates major cost savings. The huge tension force up to 7000 N pulls the strongest PET strapping si-zes into the ideal working range to benefit from a great shock absorption capacity. 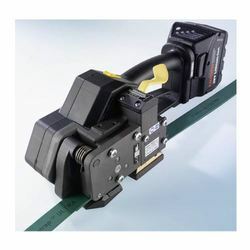 An ideal tool fo a wide range of vertical and horizontal strapping applications for flat goods in almost all industries. The unique innovative punching of the sealless MicroLock™ joint guarantees even greater safety. Opening and closing by the recoil effect is rendered impossible. The MicroLock™seal is very popular for strapping packages which for instance are subject to shrinkage due to drying out. Due to its low weight the A480 does not necessarily have to be suspended. This permits more mobile operation. Ideal for strapping tubes, wire coils and all kinds of small bundles, it is a handy and popular tool in numerous industries. 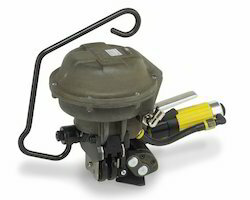 Available in two different tensioning levels. 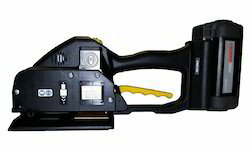 P359 is an unique pet strapping tool globally. 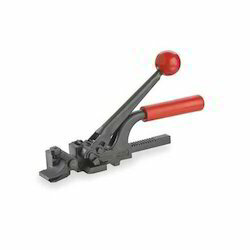 This unique tool with max tensioning force of 7000N is compatible with PET strap 19-32mm and thickness up to 1.53mm. It is very useful for converting various steel strapping application (specially 32mm steel) to 32X1.27mm PET strap. We provide high quality german designed box strapping machine. 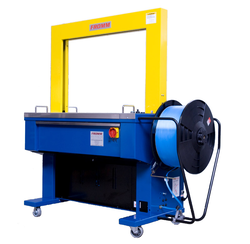 These machines have heavy top plate of MS(2mm thick), copper wound motor & comes with advanced PCB controls. PP Strap size - 6mm - 15mm. 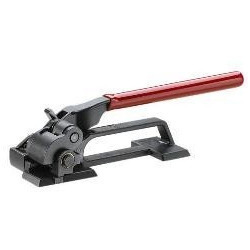 We provide high quality MIP 1860(Made in USA) tensioner for 32mm steel strap. This is made of high grade alloy to sustain harsh conditions. We also have complete spares backup for these. 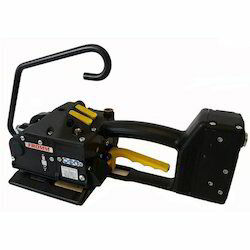 MIP 1620 steel strapping tensioner is widely used for 16 & 19mm steel strapping & is a heavy duty Made in USA tensioner made out of special alloys this tool has fine gears for longer shelf life. We also provide complete sales & service backup for these tools. 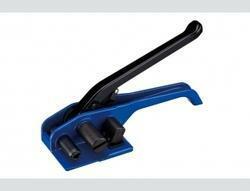 We provide high quality battery powered plastic strapping tool. With phenomenal market understanding, we are able to introduce an extensive range of Cord Strap Tensioner. The offered tensioner is used in various kinds of mechanical and automobile industry. This tensioner helps in stretching and tightening the cable and strap for various industrial needs. Our professionals manufacture the tensioner by adhering to industry standards and applying modern sciences. Also, our quality controllers opt for strict quality inspection before dispatching the tensioner to the clients. 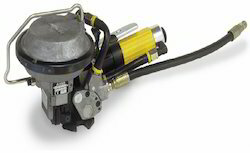 Apart from this, clients can get the tensioner availed from us at industry leading rates. 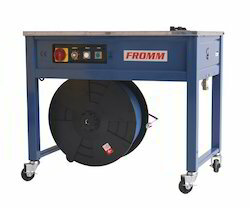 FROMM provides the most reliable, rugged & best in class Steel Strapping Tool suitable for all applications. 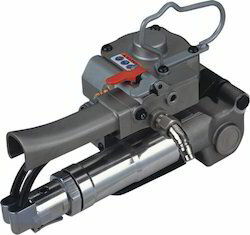 FROMM specializes in manual & pneumatic sealless strapping tool patented with MicroLock joint & Torque wrench system. 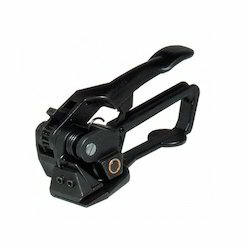 These tools are equipped with special gears providing strap tension upto 13000N. FROMM also provides high quality pneumatic Steel Strapping Tools applicable with single & double notch seals which are highly durable & work in any environment. 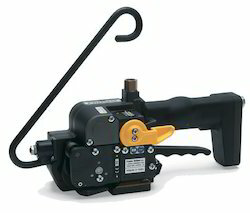 MIP-1300 is a heavy duty feed wheel tensioner designed for steel strapping 3/8" to 3/4" wide and .015" to .025" thick. It can be used on the application where 12C, 58C & 34C seals are suitable. MIP 3100 is a heavy duty sealer suitable for 19mm & 32mm seals. It can be used on application where 34HOC & 114P seals are suitable.